Very good insulation performance at a minimal weight. 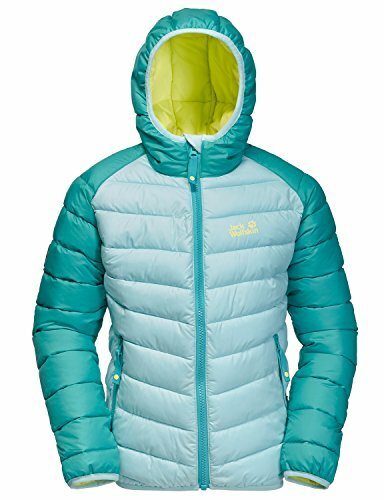 The ZENON is our lightest winter hiking jacket. It is made of our tried and tested STORMLOCK fabric. Although it is very light this fabric is windproof, very robust and tear-resistant. Two different types of synthetic fiber insulation keep your child nice and warm. The synthetic fibers have the advantage of being very robust and insensitive to moisture. Even if the insulation should get wet, it loses none of its insulation performance. So the ZENON can withstand brief snow or rain showers during a winter walk and will dry out again quickly. The hood is also warmly insulated and the jacket features two zipped pockets for your child's compass, muesli bar and other essential little items.